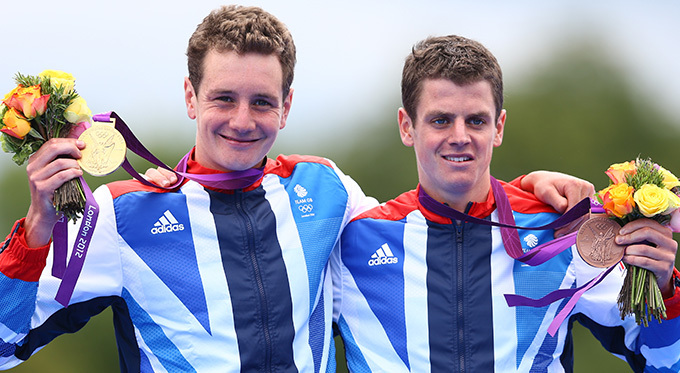 Olympic speakers Alistair Brownlee MBE and Jonathan Brownlee have been described as ‘two skinny lads’ from west Yorkshire who became the best triathletes in the world. They were the first brothers to be together on the podium in an individual sport at the Olympic Games since 1908. Also, Jonathan has finished every race from July 2010 to May 2014 on the podium – 42 triathlons in a row – while Alistair was Olympic champion in 2012, Commonwealth champion in 2014, World champion in 2009 and 2011 and European champion in 2010, 2011 and 2014. The Olympic speaker brothers have dominated the world of the triathlon since coming on the scene. Of the 40 International Triathlon Union (ITU) World Triathlon Series races, there has been a Brownlee on the start line and a Brownlee has won 29 of them. In 2015, Jonathan came 12th in the ITU Grand Final in Chicago, USA. As well as competing in this incredibly demanding sport, the brothers have set up The Brownlee Foundation which is committed to giving children in Yorkshire a positive sporting experience and supporting the development of coaches and teachers in sport. In 2014, their story was recorded in a book called Swim, Bike, Run: Our Triathlon Story . To book Alistair Brownlee MBE and Jonathan Brownlee as the Olympic speakers for your corporate event, function or conference, simply contact the Champions Olympic Speakers agency by filling in our online contact form. Alternatively, call a booking agent directly on +44 1509 85 29 27.